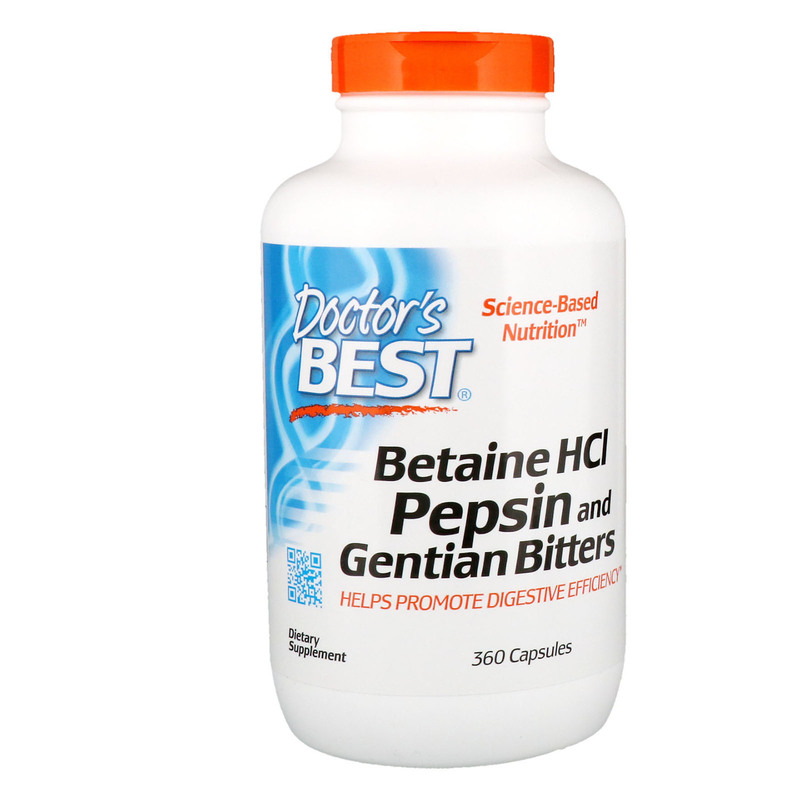 Betaine HCl/Pepsin/Gentian Bitters contains three nutritional factors that perform complementary functions designed to support the efficiency of the digestive process. 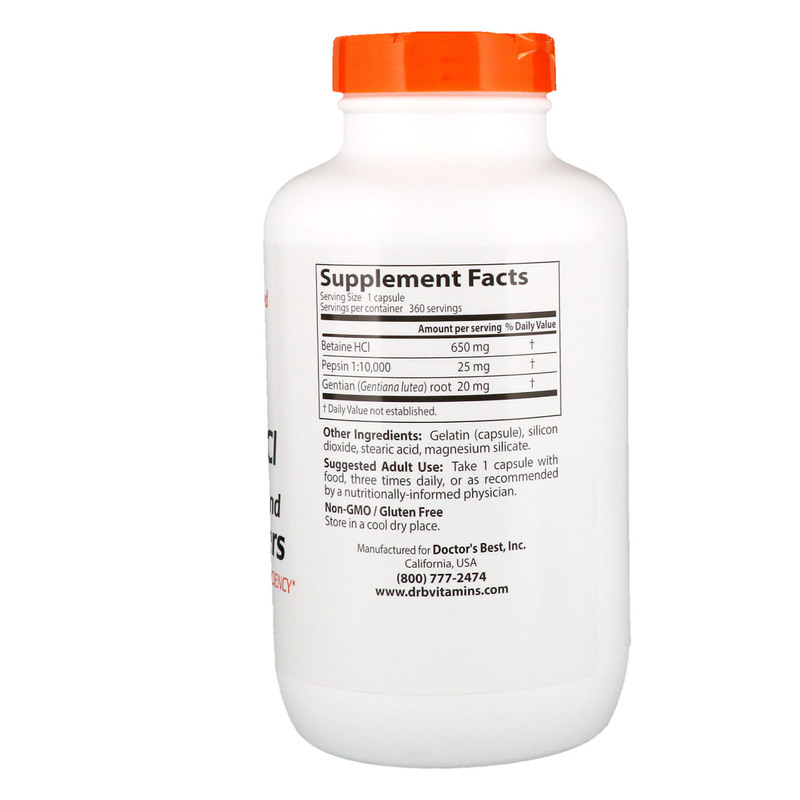 Supplementing with Betaine HCl may support the stomach’s digestive capacity. Pepsin is an enzyme produced by the body to digest protein-containing foods in the stomach. Pepsin works in conjunction with stomach acid to support protein digestion. Gentian is an herb used to promote digestive capacity and tonify the digestive tract. Its bitter nature may help to stimulate the body’s production of digestive enzymes. Take 1 capsule with food, three times daily, or as recommended by a nutritionally-informed physician.